A Pakistani court has charged former military ruler Pervez Musharraf with treason, the first army chief to face such a prosecution. 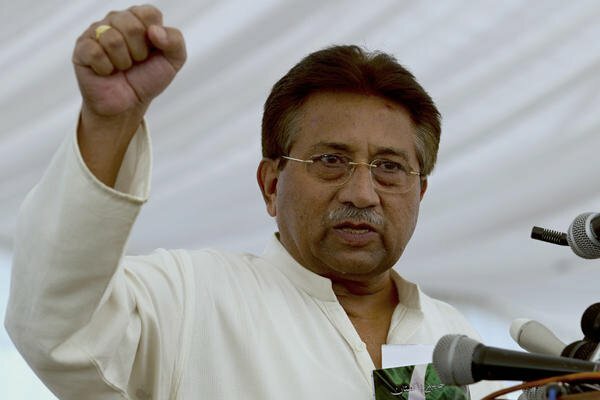 Pervez Musharraf is accused of unlawfully suspending the constitution and instituting emergency rule in 2007. He pleaded not guilty and has always claimed that the charges against him are politically motivated. He faces the death penalty if convicted. President from 2001 to 2008, Pervez Musharraf was one of Pakistan’s longest-serving rulers. He went into self-imposed exile in 2008, returning to Pakistan in March 2013. Pervez Musharraf, 70, had hoped to lead his party into elections, but was disqualified from standing and found himself fighting an array of charges relating to his time in power. He has been in hospital since the beginning of the year and reports say he is being treated for high blood pressure. The judge read out five charges to Pervez Musharraf. He pleaded “not guilty” to each of them but also addressed the court with a speech about his services to the country and questioned how he could be called a traitor, declaring that he was a patriot. “I am being called a traitor, I have been chief of army staff for nine years and I have served this army for 45 years. I have fought two wars and it is <<treason>>?” the AFP news agency quotes him as saying. “Is this the way to reward someone for being loyal to the country and for loving the country?” Pervez Musharraf asked the court. He insists that he acted within the constitution when he declared a state of emergency in the country in 2007 and that he did not act alone when taking that decision. When the former president entered the court he was heavily guarded, but nevertheless appeared relaxed, even waving to the audience. The court has adjourned and its next task is to decide whether Pervez Musharraf will be allowed to leave the country to visit his sick mother in Dubai. Pervez Musharraf is currently on the exit control list which restricts certain Pakistani nationals from leaving the country and is under house arrest.